EDUCATION: Harvard University Graduate School H.I.A.F. ; Wentworth Institute of Technology (Architectural Engineering Degree); Certified Licensed Construction Supervisor for Buildings of all types and sizes. Having been selected to the ADR panels of numerous prestigious national and international organizations, Mr. Guschov has many years of arbitration, mediation and dispute review board training. This experience includes many years of arbitration and mediation training conducted in various cities throughout the country by the American Arbitration Association including Award Writing Training, Ethics Training, Construction Arbitration Training, Large Complex Case Training, Advanced Arbitrator Training, and Advanced Case Management Techniques. Additionally, Mr. Guschov has successfully completed both basic and advanced International Arbitration Training conducted by the Chartered Institute of Arbitrators of London, England. Finally, he has successfully completed Dispute Review Board Training and Dispute Review Board Chairing Training conducted by the Dispute Review Board Foundation, Inc.
With respect to his dispute resolution background, Mr. Guschov has more than 30 years experience as a panel member, single arbitrator/mediator and panel chairman. This experience has involved hundreds of disputes. Cases have included disputes on projects of virtually all types and sizes and have involved evaluation and quality of construction, contract terms and conditions, change orders, delays, design defects, and incomplete and/or defective work, with claims ranging to many millions of dollars. This experience includes large treatment plants and utilities claims and disputes as well as international airport arbitration. Mr. Guschov has extensive experience for the Commonwealth of Massachusetts as a arbitrator and ADR service provider. 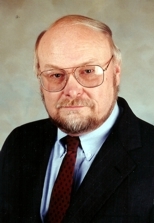 OTHER PROFESSIONAL EXPERIENCE AND ASSOCIATIONS: Mr. Guschov was admitted into the following: American Bar Association (ABA) Section of Dispute Resolution; Association for Conflict Resolution (ACR); American Arbitration Association; Council for Affordable and Rural Housing (CARH); and the Institute for Conflict Prevention and Resolution (CPR).